In today’s business, whether your primary business is eCommerce or not, you have to have a website. You know this, so you’ve gone through all the right steps to make sure your customers can find you online, you have a nice landing page, a call to action, you are posting on social media, and maybe even doing some advertising. Now what? If you don’t have analytics set up on your site with best practices, you may be wasting your time and money. How can you improve your business if you don’t know what your customers are doing? Where are they coming from? What are they looking at? What are they not looking at? What should you do about it tomorrow? Analytics is the key to understanding your customers’ past, present and future. Just like when you start a brick-and-mortar store, you want to make sure you cover all of your bases. You check the shelves, you talk to customers, you get feedback from employees. If you have a store, and someone asks an employee where something is, you want them to be able to find it right? The difference is, if you don’t have your site search set up, someone can easily just click out of your store, and unfortunately it is that easy to lose a customer in the digital space. Setting up your store is where we come in. Analytics helps you check your digital shelves. Analytics shows you what you customers want. Analytics helps you decide how to advertise more effectively. Following this roadmap ensures your store will be up and running with the best analytics practices in place. We will be your guide and take you to from beginning to end. 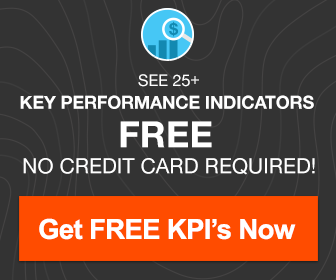 Get our free Google Analytics eCommerce Roadmap to help understand your web traffic data and make data driven decisions on both site enhancements and marketing channel optimization.